A hacker from Palestine found a Facebook glitch that allowed anyone to post on a stranger’s wall, but when the company ignored his warnings he took them all the way to the top by posting about the issue on Mark Zuckerberg’s wall. 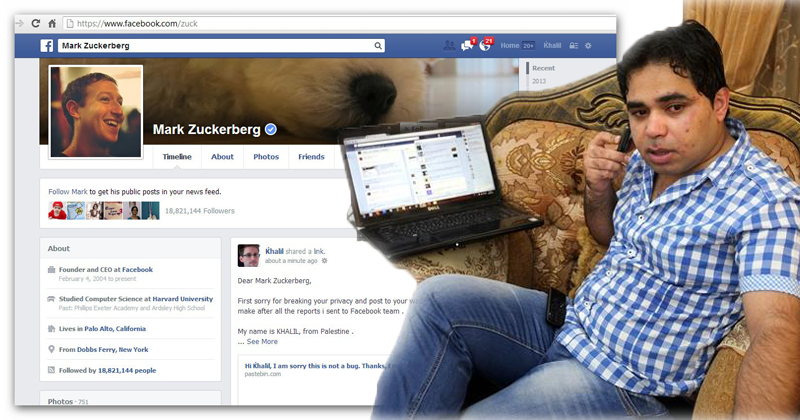 Security researcher Khalil Shreateh identified a security flaw that would allow users to post on anyone's Facebook wall. He made his point by posting on Mark Zuckerberg's personal Facebook page.